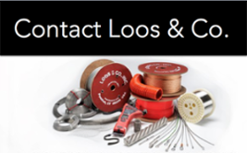 Pomfret, CT, May 5, 2015— Today, Loos & Co., Inc. announced that they expanded their sales team to offer more comprehensive support to their new and existing customers. Through the hiring of five new sales representatives, Loos and Company will continue to expand their market coverage. These new positions represent Loos and Company’s ongoing effort to best serve the marketplace. 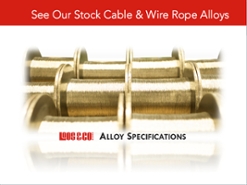 New sales roles were implemented to reflect both territory and market responsibilities based on Loos and Company’s continued growth in the wire, cable, wire rope, and cable assemblies market. Jack Puckett, Western Territory Manager – In this role, Jack will be supporting customers in the Western United States, including Washington, Oregon, California, Nevada, Utah, Arizona, Alaska, and Hawaii. 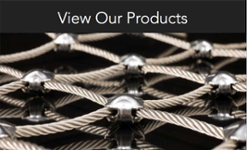 Jack has been working with Loos and Company’s Hardware Division in Naples, FL for the past 3 years and has great knowledge of what the market expects. Ana Kopec, Inside Sales Representative – As an Inside Sales Representative, Ana is responsible for day-to-day operations for customers in the Northeastern United States and for Puerto Rico and the Caribbean. Ana comes to Loos and Company with a strong background in customer service and offers expertise in handling problems which may arise quickly and effectively. Aaron Feliciano, Inside Sales Representative – As an Inside Sales Representative, Aaron is responsible for day-to-day operations for customers in the Midwest and Southeast United States. Aaron comes to Loos and Company with a Master’s Degree in Biomolecular Science and will be working closely with Loos and Company’s medical market team, ensuring that we have the right products available for this growing market. Sara Glynn, Inside Sales Representative - As an Inside Sales Representative, Sara is responsible for day-to-day operations for customers in the Central and Southeast parts of the United States. Sara comes to Loos and Company with a strong background in relationship management through her most recent job in the media marketplace. Ryan Dietlin, Inside Sales Representative – As an Inside Sales Representative, Ryan will be responsible for day-to-day operations for our Industrial Distribution and Military/Government customers. Ryan comes to Loos and Company with a comprehensive background in Procurement, Sales and Customer Service. These changes will be extremely important as Loos and Company continues to expand their customer base and product scope.